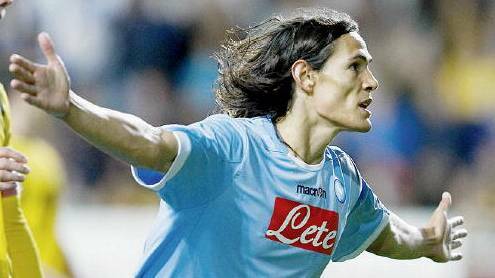 According to the recent reports Napoli are prepared to part ways with their in-demand forward Edinson Cavani, should Man City agree to pay his release clause and include their forward Edin Dzeko as part of the deal. Edin Dzeko has played a bit-part role in Man City’s Premier League campaign and could be willing to move to another club in search of regular first-team football. However it remains to be seen whether the deal will be completed, as host of European clubs including Chelsea and Real Madrid are ready to battle for the signature of the Uruguayan striker. With Napoli’s manager Walter Mazzarri leaving the club at the end of the season, Chelsea’s interim boss Rafa Benitez has been linked with a move to Stadio San Paolo. But Napoli’s film producer president De Laurentiis dismissed those rumours, saying: “I did not go to London for Benitez. You would have me appointing 15 coaches: it’s true, I’ve heard them all in the last six months and I’m aware. Yesterday I was in London with (managing director Andrea) Chiavelli and Bigon and for a simple reason: I have to prepare for the release of the film about Steve Jobs.